1.Place chicken in a large freezer bag, or in a large roasting pan or baking dish. Pour lime juice over the chicken and coat well. 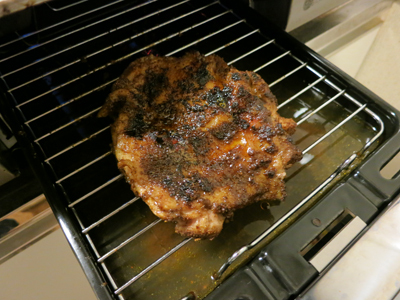 ※Use chicken thigh meat or breast meat.Both are OK,but I prefer thigh meat . 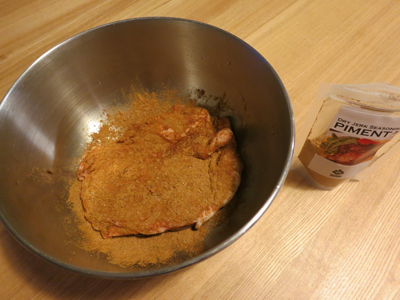 2.Add the dry jerkseasoning to the chicken pieces and coat well. 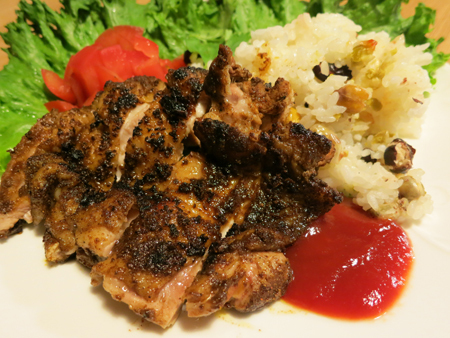 ※Puchase Dry Jerkchicken seasoning here. 3.Seal the bag or cover the chicken in the pan with plastic wrap. Refrigerate overnight. 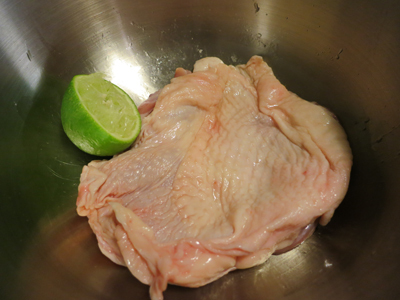 4.When you are ready to cook the chicken, remove chicken from the marinade bag or pan. 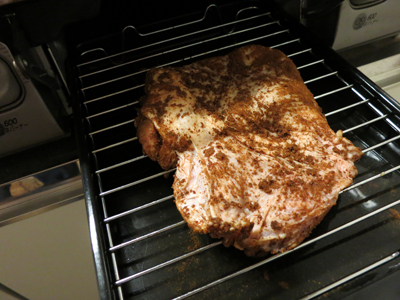 5.Place chicken halves, skin side down on the grill grates. Cover. Cook for approximately 15-20mins.